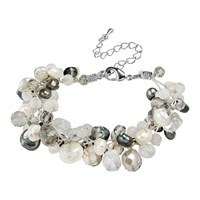 Add a shimmering accent of style to any outfit with this stunning bracelet from Thai artisan Ton. 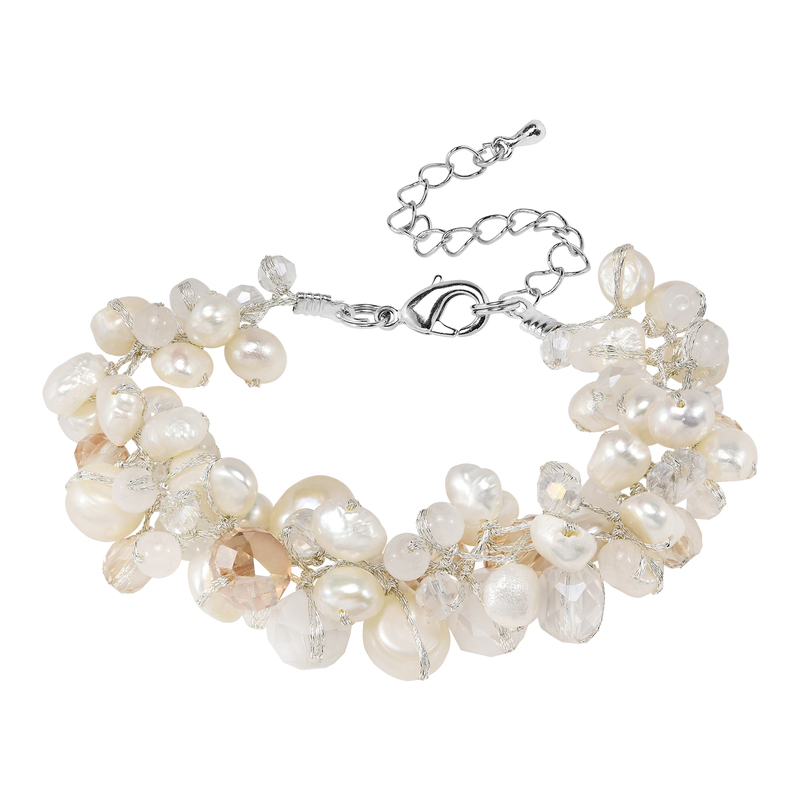 For this design, a gorgeous combination of pearls, milky quartz and crystal beads are used to form one stunning fashion accessory. 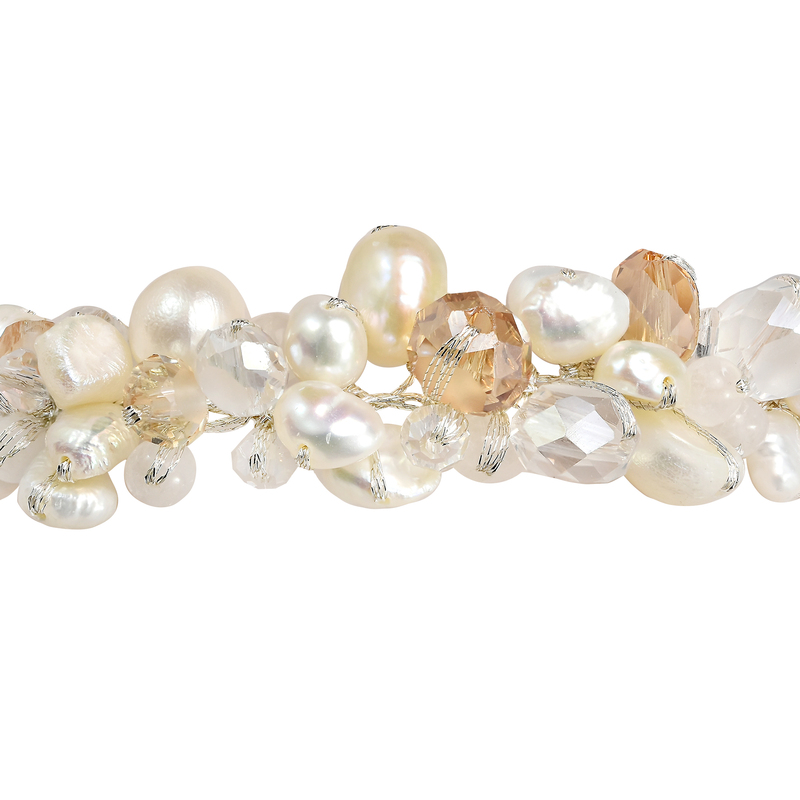 The shimmering iridescence found in the pearls combines beautifully with the sparkling crystal beads, making for a bracelet that is both stylish and elegant. 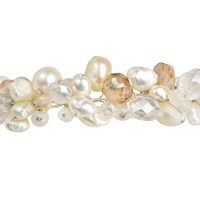 Expertly handcrafted, this unique bracelet is sure to make an awesome addition to any jewelry collection. This bracelet comes in a variety of colors to choose from, feel free to check out more designs via our other listings. 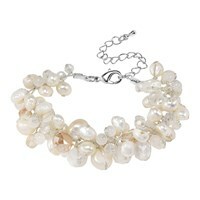 Ton and her sisters began making jewelry at a young age where they learned how to hand-craft jewelry from their mother. Growing up in a northeastern country side of Thailand, the sisters honed their jewelry making skills and were able to sell their products in the local markets to help provide income for the family. Ton and her sisters find inspiration from Mother Nature and every day village life in the mountainous regions where they were raised. 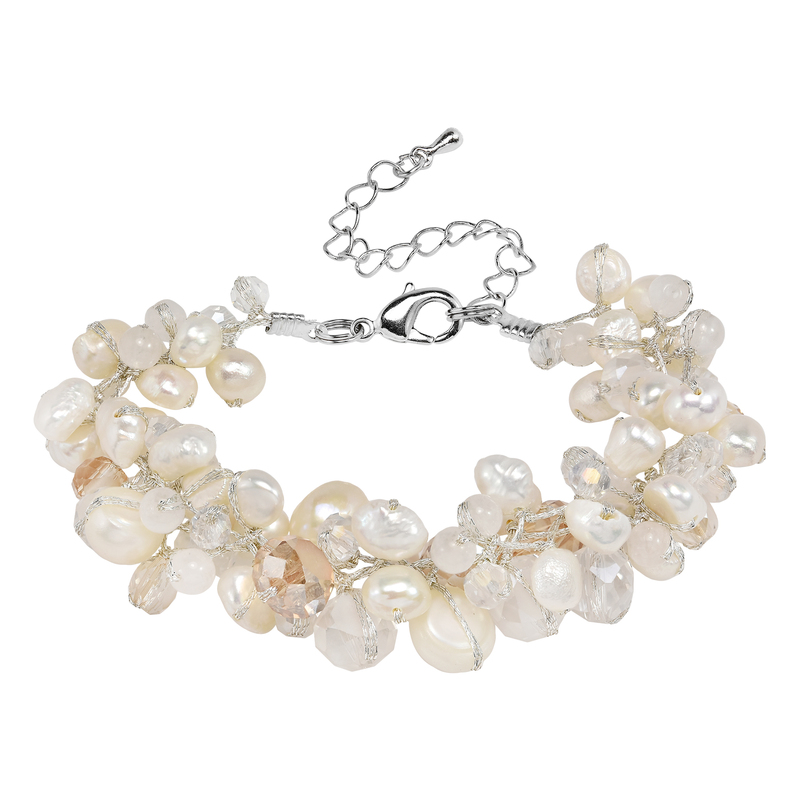 The sisters enjoy mixing beautiful natural stones and fashion crystals with native material such as cotton wax rope and leather. After some time, Ton and her sister’s wanted to expand their business and they decided to move to the Bangkok area where they opened up a shop.